Michael Horn said Volkswagen's employees "have to be managed in a different way." WASHINGTON -- Michael Horn walked a tightrope. 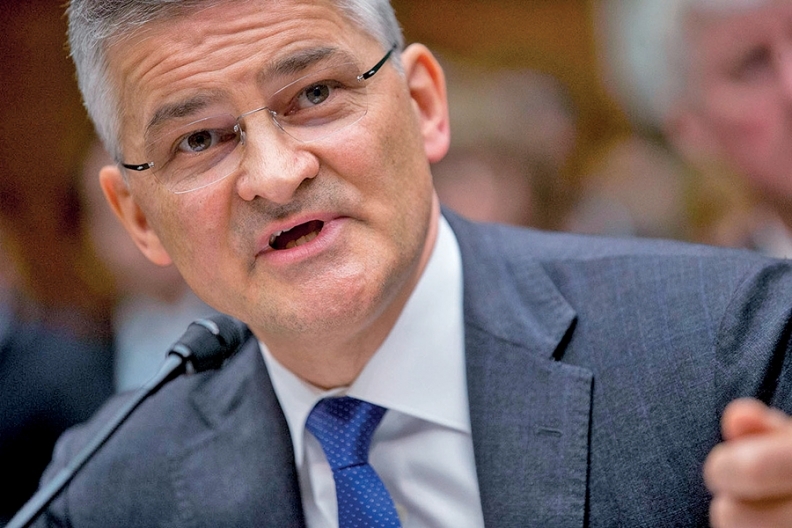 In testimony before a U.S. House oversight committee last week, the Volkswagen of America CEO played both the public spokesman for a proud German automaker and the incredulous outsider, aghast at how his employer of 25 years had been able to cheat regulators and customers. That dual role led him to not only absorb pointed rebukes from his questioners on the panel, but also deliver his own scolding message to his superiors at Volkswagen. "This company has to bloody learn and use this opportunity to get our act together," Horn said in response to a lawmaker's question. "Six hundred thousand people worldwide have to be managed in a different way, and this is very, very clear." Horn distanced himself and the U.S. arm he oversees from the "couple of engineers" in Germany he speculated were likely responsible for the software code designed to trick U.S. emissions regulators, noting that the code came from departments "totally out of my jurisdiction or steering." And yet he joined lawmakers in expressing skepticism that a small few inside the company could have pulled off such a fraud, telling Rep. Joe Barton, R-Texas, at one point: "I agree it's very hard to believe, and personally I struggle as well." When Barton suggested that the punishment for "knowingly and willfully" deceiving the federal government should be "more than a slap on the wrist," Horn nodded in assent. Many questions were left unanswered, such as when technical plans would be available for some 325,000 VWs with the first-generation 2.0-liter diesel that will need hardware and software changes to bring them into compliance with U.S. clean-air laws. Horn warned his answers would be preliminary due to the early nature of VW's internal investigation into the violations. Lawmakers themselves lacked all the facts, as the Oversight and Investigations subcommittee of the House Energy and Commerce Committee was in the first stages of its own investigation. The Thursday, Oct. 8, hearing came five days before VW's deadline to provide the committee with documents and information about the violations, which were requested on Sept. 29. Horn was contrite throughout the hearing, at one point saying "I don't sleep at night" as he works to make things right for VW dealers, employees and consumers "to get us through this crisis here in the U.S."
In prepared remarks, Horn said he "did not think something like this was possible at the Volkswagen Group." His disbelief was highlighted in an exchange with Rep. Yvette Clarke, D-N.Y., who pressed Horn to explain what caused the "massive deviation" from VW's stated commitment to environmental responsibility that led to the creation of the emissions-cheating software. "Myself, and the majority of VW employees, which is around 600,000, ask the same question, and it's a relevant question," Horn replied. "I hope that these investigations will definitely find out what drove these people ... into these decisions."